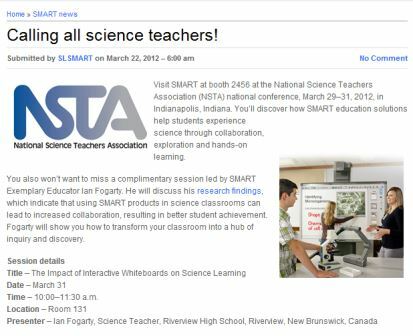 Smartboards (IWB’s) are NOT TPR’s ( Traditional Pedagogy Replicators). If this is how you see them, you are not using the right! If you are not using them right, then the IWB’s are a waste of time and money. More importantly, they are a waste of kids’ brain growth. However, use them correctly, and they are a very powerful tool for 21st century learning, in particular influencing group dynamics for critical thinking, collaboration and communication. My students spent portions of two semesters combining art, science and trades to create a large sculpture of Insulin. Thanks to the ArtSmart grant for providing necessary funds. Thank you to our artist, Joss Richer, and our tech teacher Renee Levine. Great work guys. Still waiting for your full sized interpretive poster with patent economics, history, and chemistry. More color for purpose. Here are two videos. Follow the link at the top menu to RHS Science blog and see more of the insulin project as it happened. A great day to meet some great people. Minister Carr, a FANTASTIC surprise. I love how excited he was to see Sir Ken, but I also love how happy he was to talk.Who knew he and his brother both wrestled. Sir Ken Robinson… A great talk, very funny, and very gracious. He signed my book. I gave him my card. Turns out I re-met him with all the other NB people. After hours of meet and greet, he was still talking, smiling and asking questions.”Do you love what you do?” There is a right and wrong answer. Bill Strickland. Wow. I love how he has no time to wait. The sense of urgency and the real solutions. There seems to be lots of talkers and thinkers. Bill seems is a doer. Mario and Brian Gray are always great. How is it that they can bring their “A” game EVERY TIME. I hope they will look at the insulin project..art and science and trades together. There are some great things about using the mobile phone in class. Really looks at real time upload and surveys. Need to look at this page for presentations. Look at John Peterson twitter recommended by Dean re using twitter to create games. Attending the Social Learning Summit by the Discovery Educators Network in Fredericton. Thanks so much Smart, I had a great time! I learned a bunch of science for my school. I think I was able to provide a different perspective on why a teacher should want a SmartBoard while the rest of the team did a fantastic job trouble shooting for other booths that were using Smart and answering a million and one questions about how to click and rotate using the 3D cube.